The change will mean more doctors will be allowed to treat patients who hold medical cards – improving access and increasing competition. RESTRICTIONS ON DOCTORS wishing to obtain contracts so they can treat patients who hold medical cards have been abolished by the Government today. Minister for Health Dr James Reilly announced the commencement of the Health (Provision of General Practitioner Services) Act 2012 which provides for the elimination of restrictions that have been in place to limit the number of HSE contractors. The Act will give medical card and GP visit card holders a greater choice of doctors. For private patients, it will mean no change of GP if and when they qualify for a card. From today, access to contracts has been widened so any fully qualified and vocationally trained GP who wishes to treat public patients under the General Medical Services (GMS) Scheme will be allowed. Reilly said the change is a “major step forward in the development of Primary Care”. He said it will benefit many young, highly-qualified and trained GPs who were previously prevented from obtaining a GMS contract early in their careers. It is also a significant step to deliver universal Primary Care as it removes cost as a barrier to access for patients, added the Minister. Doctors who obtain new GMS contracts will be able to set up their practice in a location of their choice. However, if they wish to move they must get approval from the HSE first – a rule designed to ensure continuity of care. I am confident that the Act will contribute to this commitment as it will encourage more young GPs to remain in Ireland and to establish their practices here and it will make it more attractive for GPs to move here from overseas. Reilly claims it is not only public patients that will be positively impacted by the removal of restrictions. “It will also encourage competition among GPs at a time when many fee-paying patients have less money at their disposal,” he said. The Competition Authority of Ireland has on numerous occasions identified the restrictions on GPs wishing to treat public patients as a major factor impacting on competition among doctors. 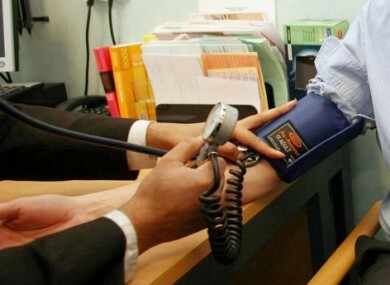 It said that the rules contributed to difficulties being experienced by patients - in terms of accessing regular GP services in certain “blackspot” areas of the country and rising prices for private patients. When the changes were announced last September, the Authority welcomed what it said was good news for patients, adding that those who pay the full cost of visiting a GP will also benefit. The move has also been welcomed by the Irish College of General Practitioners. However, he added that more needs to be done to tackle ongoing issues such as the lack of GP services in some areas and the need to retain young doctors in Ireland’s health services. Email “Restrictions on GPs treating medical card patients lifted”. Feedback on “Restrictions on GPs treating medical card patients lifted”.